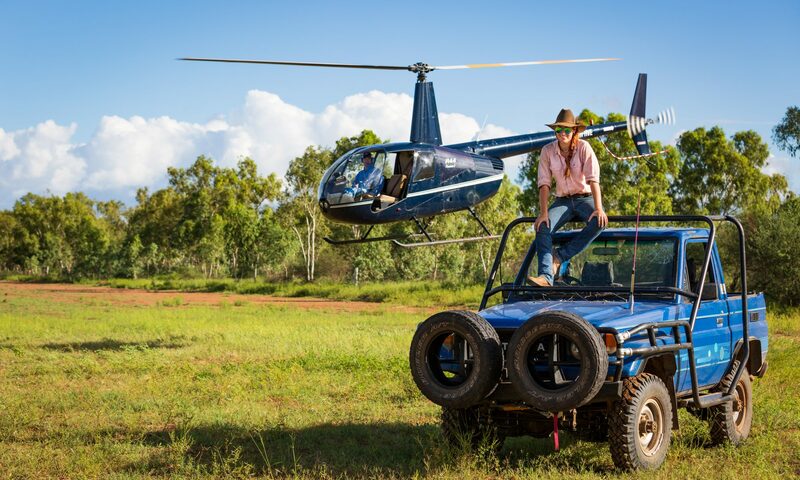 All is well on the stock route, Jackaroo sent me these photos last night. They’re currently stuck in a stock reserve for a couple of days while, one again, mobs ahead sort themselves up. Normally you have to move 10kms per day along the stock route, so a stock reserve is a designated area where you can rest your cattle for a day or two. It has water there, but no cattle yards there. This one that they are in at the moment, is fenced on two sides, with a road and the river as a natural boundary. 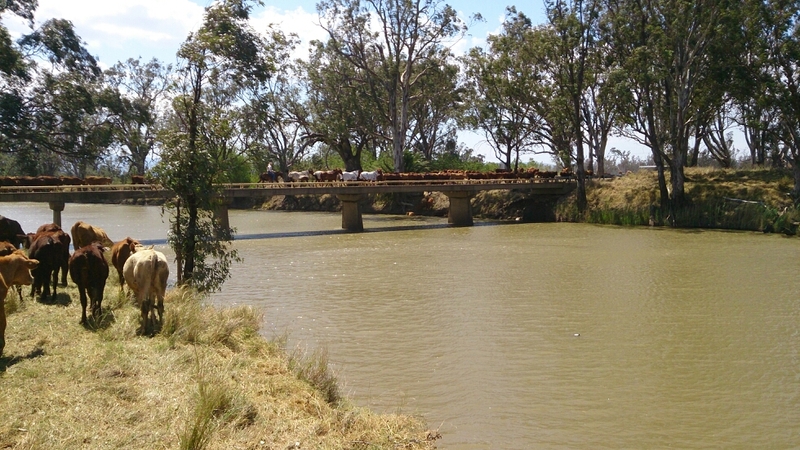 The cattle moved really well over the bridges apparently. As you can see in the first photo, when working cattle, you push smaller sections at a time rather than try to push the whole mob at once. If you are trying to guide more than a handful of cattle into yards or over a bridge, pushing the whole mob won’t work as you don’t have control over the front. The front could head off to one side or plant themselves in one spot, sending the middle of the mob back around you. It’s hard to explain, but there really is an art to working cattle – it can be tough! 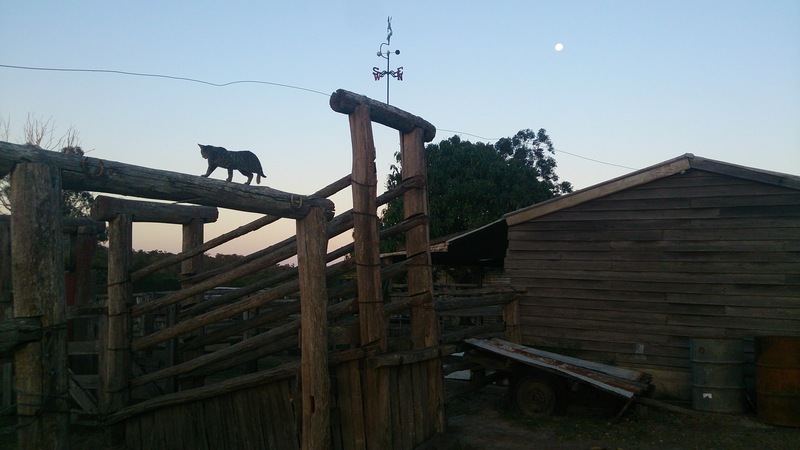 I’ve also attached a photo of ‘Kitty’, the cat that thinks he’s a horse, walking along the old cattle yards at home last night – since I have nothing too interesting to say haha! A horseman pushes cattle across a bridge. 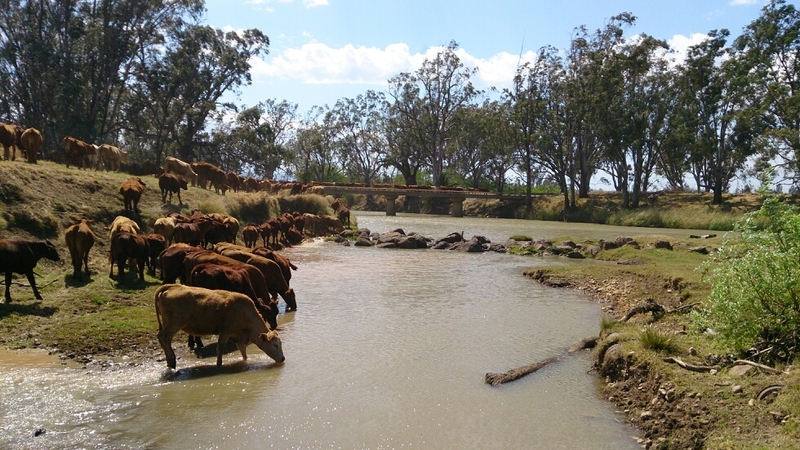 Cattle take a drink before they move on. And this is the best photo I can offer from my time at home. Lol! Previous PostPrevious Latest pics from the stock route.